We proudly present our new series called “Living the dream”. In the next days we will release several articles about every single team that qualified for LCS. We will wrap up the team's history, their way into Season 3 and have a look at the players they have on their current roster. 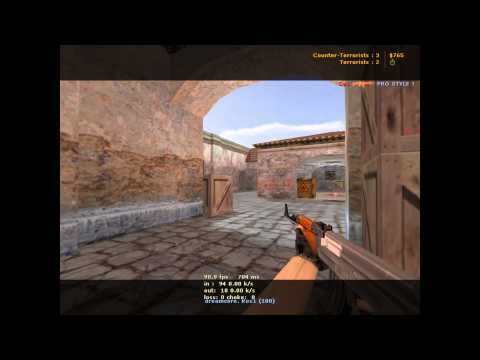 Back in April 2010 an organization called “Counter Logic Gaming” was founded by pro player George 'HotshotGG' Georgallidis. Little did he know that this decision was going to make one of the biggest names in the League of Legends e-Sports scene. While their first lineup consisted of 10 players the wheat separated from the chaff rather quickly. Eventually, the first official CLG roster was released: HotshotGG, Bigfatjiji, Chauster, Kobe24 and Elementz. After beating SK Gaming 2-1 at the WGC 2010 Grand Finals there was no doubt that, with League of Legends growing, CLG was going to be big. Although CLG were at their prime in Season 1, they only managed to get fifth place in the Riot Season 1 Championship, as they got knocked out by eventual Season 1 champion FnaticMSI. In the long lasting Pre-Season 2 CLG made several appearances in the top 3 of tournaments. Their biggest victory happened to be at their second international LAN event, the IEM Season VI – Global Challenge Cologne. After a flawless 3-0 in the group stage CLG had to fight their soon to become rivals TSM. They managed to overpower them 2-1 to secure first place. Right at the start of Season 2 core member Cody 'Elementz' Sigfusson got benched for future AD star Peter 'DoubleLift' Peng. Season 2 was huge for CLG: Not only as a League of Legends team, but as an organization. They got themselves a B squad, called CLG.Black, an EU squad called CLG.eu and last but not least a Dota 2 team, hence they called their original roster CLG.Prime. Throughout the season CLG.Prime had their ups and downs due to key member Hotshot underperforming. Eventually he decided to step down from the CEO position (replaced by his mom) and focus on getting better. One month after CLG dropped out of 'The Champions' they decided to switch things up a bit. Top lane legend HotshotGG made an unexpected appearance in the Jungle and former jungler Brandon 'Saintvicious' DiMarco had to take the same path as Elementz: He joined Curse after getting benched. A known player, Joe 'Voyboy' Esfah﻿ani﻿, jumped in as CLG's new top laner, just to step into Saint's and Elementz's bench position a couple of months later, due to Hotshot moving back to his beloved position. This led to yet another former CLG member to join Curse. With 3 ex-CLG members, the community jokingly likes to call Curse CLG.Bench. Chauster decided to take on the position in the jungle, which led to an open supporter position. Surprisingly, they acquired Locodoco as their new support. At first he seemed positive, but it did not take long until he left again to make place for yet another former AD star: Aphromoo. Despite the previously mentioned ups and downs CLG was expected to place at least in the top 4 at the NA Regionals. However, only the top 3 qualified for the Season 2 World Championship Finals and Season 3, so the question was: Who of the 4 teams will not attend: TSM, Dignitas, CLG or Curse? As stated in the Season 2 recap CLG.Prime participated in 'The Champions' tournament and got knocked out. However, they still used the Korean gaming house to prepare for the Regionals which surely helped them. Team Legion was the first team to hinder CLG from their Season 3 dream, but they got beaten with a confident 2-1. Dignitas, the next obstacle, proved to be too strong for CLG and knocked them down to the loser's bracket after an easy 2-0. CLG had to show up “tomorrow big” at the next and final match up, which was against none other than Curse. Back then Curse had two previous CLG members, which led to a tense atmosphere between those teams. It showed why CLG was called “Prime” and Curse “CLG.Bench” after an epic 2-0 victory for Prime. 1.: 3rd place at the Season 2 North American Regional Finals. 2.: 2nd place at MLG 2012 - Spring Championship. George 'HotshotGG' Georgallidis – The top lane. With the rise of CLG, not only a new star team was rising, but also a star player. 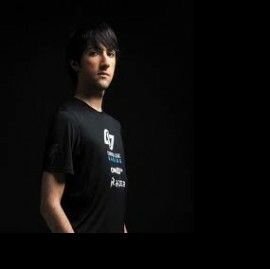 HotshotGG surely is one of the biggest names in the professional League of Legends scene. As one of the most popular persons in the early stages of LoL streams, he surely is a big part of League of Legends' success history. George is known for his passively aggresive “farmy and split push" play style in the top lane, where he is inconspicuous for the first 20 – 30 minutes and then strikes as a fed monster. Speaking of monsters: One of his favorite champions is Cho'Gath. Everyone of us has seen a huge red alien tanking an inhibitor turret for his team, while just standing there. That's just how Hotshot rolls. As I have mentioned one of his favorite champions, there is one he is known for: Nidalee. He always stood out as a Nidalee player, until she eventually got nerfed and he did not really touch her in serious games as often as before. While he does not play her that frequently anymore he still gets nicknames like “HotshotNidaleeGG”. Steve 'Chauster' Chau – The jungler. Chauster is one of the 2 founding members in CLG that are still playing. 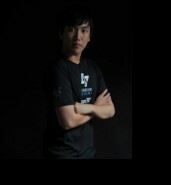 He has not left the team ever since he joined the competitive scene. He was the one to replace his Supporter to actually be the supporter and make place for Doublelift as their new AD carry. Nothing happened for quite some time in terms of position changes for Chauster. However, he eventually moved to the jungler after Hotshot stepped down. Needless to say, he is known as the jack of all trades, because he is the only one to play every single role in League of Legends competitively. Furthermore, he is famous for his amazing game knowledge and people call him one of the most intelligent players in the scene. Lee Sin is his favorite champion, so the jungle role fits him good. Additionally, he was known for his amazing Ezreal in his early career. Austin 'LiNk' Shin – The AP carry. 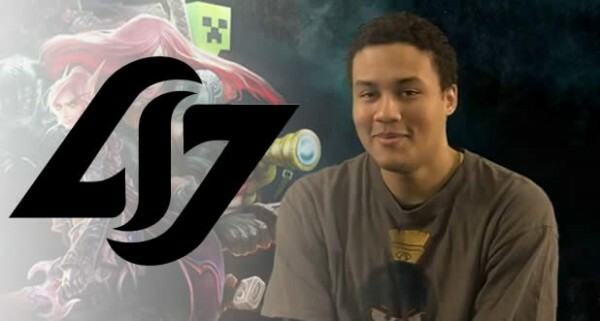 With Bigfatjiji stepping down, former CLG.Black player L1Nk finally has his time to shine. During the time in the B squad he made himself a name for playing passive and building “Gold per 10” items on mid champions, which eventually got fotm (heart of gold mostly). Will he be able to replace the hole Jiji left? We surely will see soon. Peter 'DoubleLift' Peng – The AD carry. Doublelift has a harsh background story in terms of e-Sports: His parents decided to kick him out as he turned 18. He had a computer, a bike and some money from Dreamhack. However, he somehow managed to pull himself together and now he is able to live his dream as a famous professional League of Legends player. During the last months Doublelift has made himself quite a name. Not only as a good player, but also with his trash talking. He also is quite famous for his facechecking habits, especially on Lee Sin. In every recent interview he trash talked at least one team and showed off his “I'm the greatest. Everyone else is just trash” attitude. While he is very famous because of this attitude, may it be positive or negative, he is also quite known for his strong mechanics. If Doublelift was a champion, he surely would be HotshotGG's 3rd favorite one, because he would be yet another monster in the league, since he plays like one. Even though the recent trend seems be that ADs move to the support role (Locodoco, Aphromoo), Doublelift moved away from the support role and his feared Blitzcrank to become one of the best AD carries in the world. You can safely say that he is an outstanding player on Caitlyn and Vayne. Zaqueri 'Aphromoo' Black – The support. 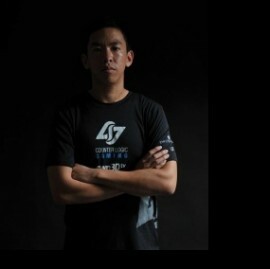 CLG's newest member is very known in the scene. Although he did not manage to prove himself in offline tournaments, he was a very solid AD carry online. He is not only solid as a player, but a huge entertainer. Some months ago you were seeing a new “Aphro does x” video every day on Reddit. Aphromoo was known for his unconventional AD carry picks, like Draven, Varus or his infamous Twitch. As a surprise for many he applied for the support position at CLG. The reason for this move was his love for supporting, as he even played a Healer (similar to a supporter) in World of Warcraft before. Therefore he more or less got forced into the AD carry role, because no one of his friends wanted to play AD. Is the famous Aphromoo finally going to be able to prove that he is a good player in an offline tournament in a role that he feels comfortable with? Time will tell. Will CLG be able to surprise us at the LCS (hopefully with another "cheesy strat", which they are known for)? As NA is considered the weakest region at the moment, this surely won't be a walk in the park, but hard training and the possible momentum gained through an unknown tactic might help out the famous CLG. Time will tell. Got into eSports through CS and joined the SK LoL editorial staff in early 2013. His love for competitive League has only grown since then.